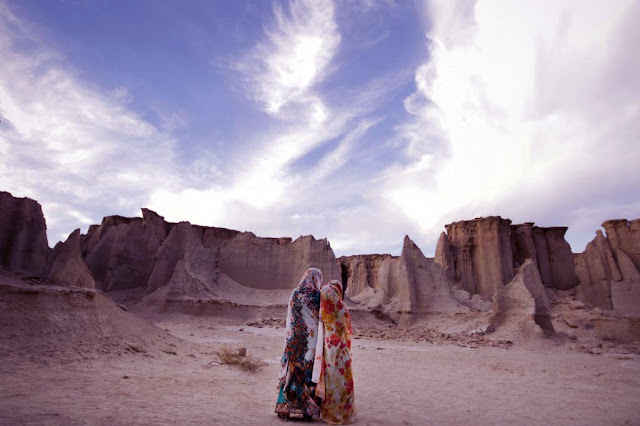 Uppersia Iran Travel blog: What makes the Stars Valley of Qeshm so special? Being located in the vast Qeshm Island in the southern Iran, the nested maze of the Stars valley leaves every visitor in wonder. 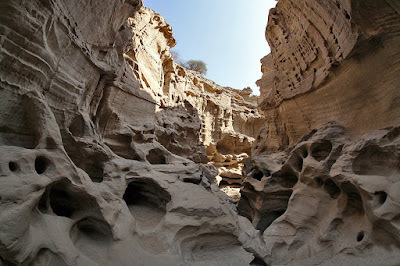 This makes you in wonder "What geological phenomenon has created such artistic forms on the rocks of the Stars Valley?" The Stars Valley in Qeshm. This valley is a huge and deep gap in the heart of the ground. The rock sands of the Stars Valley were sculpted by water and wind erosion 2 million years ago! But the locals have another idea. They believe in weird myths about how a giant star fell down and created this hole and forms on the ground, thousands of years ago. They also go further and say that when the darkness comes, unknown creatures start wandering through the valley and the sound of the wind swirling between the rocks is originally made by these creatures!! Local women in the Stars Valley. Besides the interesting myths and stories about the Stars Valley, this natural wonder boasts its most stunning face during the moonlight nights, when the silver moonlight illuminates on the rocks and doubles the charm of the land. Later in the midnight when the moon goes down, the stars start to gleam above your head and complete the magic! These imaginary stories and beliefs have made the Stars Valley such a wonderful and adventurous place that attracts many nature lovers and eco-tourists every year, especially during winter and first days of spring. Check Bandar Abbas day tours and see what else fits your taste in the south of Iran. 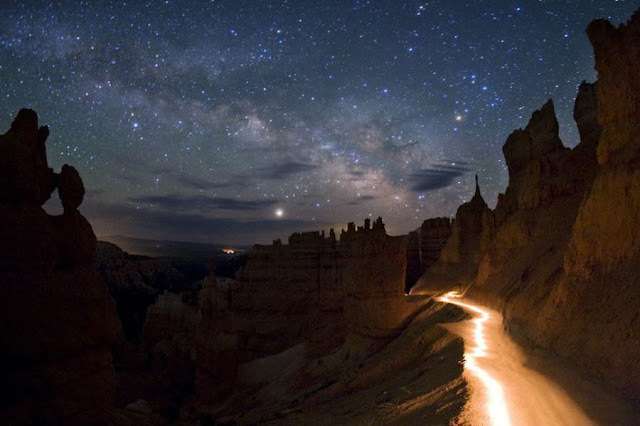 The Stars Valley in the night.